Majestic Templates V.2 JV Page. Going live this 10th March 2018, Early Bird Starts at 10AM EST! The ultimate PowerPoint video templates and animated slides membership. Monthly recurring commision, first month 50% then subsequent commission 20%. * Official launch date is on the 10th March 2018 at 10AM EST Timezone. * There will be an early bird sale which is the dime sale, product price will continue to go up with each product sold so use this as scarcity. 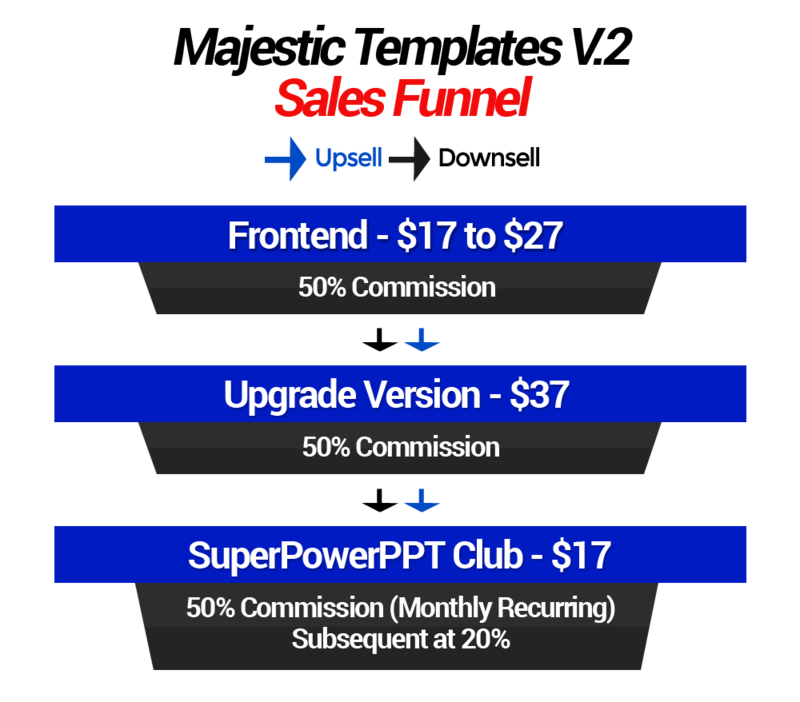 If you need bonuses you can use the following bonuses to help boost your conversion. All bonuses are automatically delivered in the member’s area. * Preview the bonus page here. * Download OP2 bonus page template. * Donwload HTML version bonus page here. Although the market is filled with many video software but most of them suffer from one big issue that is versatility. Video software that fit in the worst offender list are the one that restrict you to only a few templates and you can only customize the very few selected elements making them extremely restricted to the style of videos you can create. But I’m not saying all video software are bad, some of them are in fact super awesome! But you are still limited to the style of videos you can create. If you want to create creative and stylist videos then this new product Majestic Templates V.2 fit that bill perfectly. Majestic Templates V.2 is a collection of brand new gorgeous video templates created with latest trend in mind; these video templates are designed and animated with urban & modern style making them the perfect fit to the today’s modern world. And you not only can create videos with these but also Facebook cover videos and other media contents, the best part you can customize all these with the software you may already have that is PowerPoint. PowerPoint is still the king when it comes with versatility, 30 years of development Microsoft put into this software making it packed with features that allow you to create literally any type of videos and Medias you can think. * Ultra creative video templates. * Epic photo slideshow templates. They are also available at a very low price but it’s on dime sale so you need to act fast as the price is going up rapidly with each product sold. See Majestic Templates V.2 live and grab it here now. It’s call Majestic Templates V.2 and it’s a collection of brand new gorgeous video templates that push the quality standard to the next new level. They are also available at a very low price but its on dime sale so you need to act fast as the price is going up rapidly with each product sold. So head over here and check out Majestic Templates V.2 now! 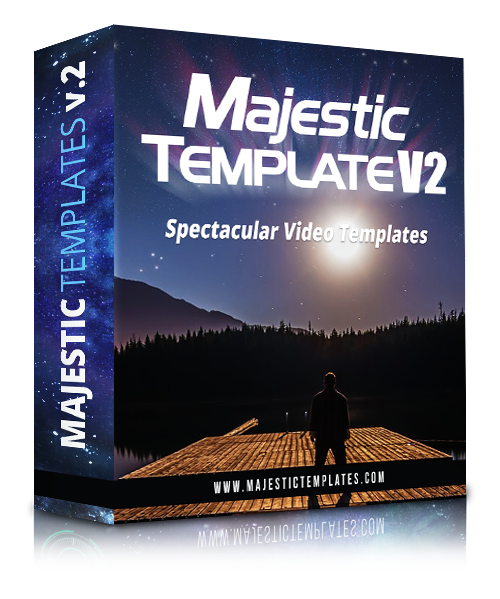 Majestic Templates V.2, brand new studio graded video templates collection that allow you to create spectacular videos, facebook cover videos many other medias using PowerPoint. These video templates absolutely spell quality, they are designed with urban and modern style approach making them perfect for this modern century. And the best of all? You can customize all these using just PowerPoint.